Now in 7 colors! Please click on second image to see all 7 colors that come with this 7 page PDF file. 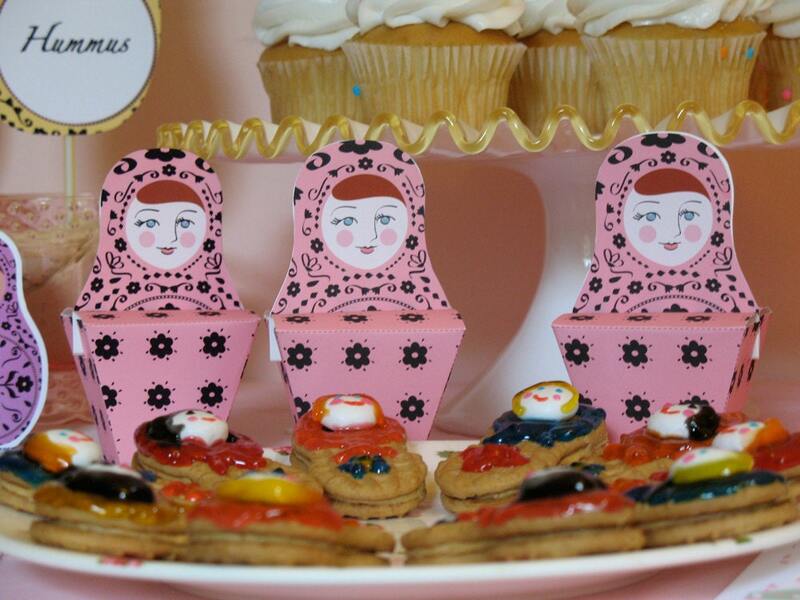 My Matryoshka (aka- babushka, nesting doll, Russian doll, stacking doll) Party Favor Box PDF file is a perfect table top decoration and party favor. 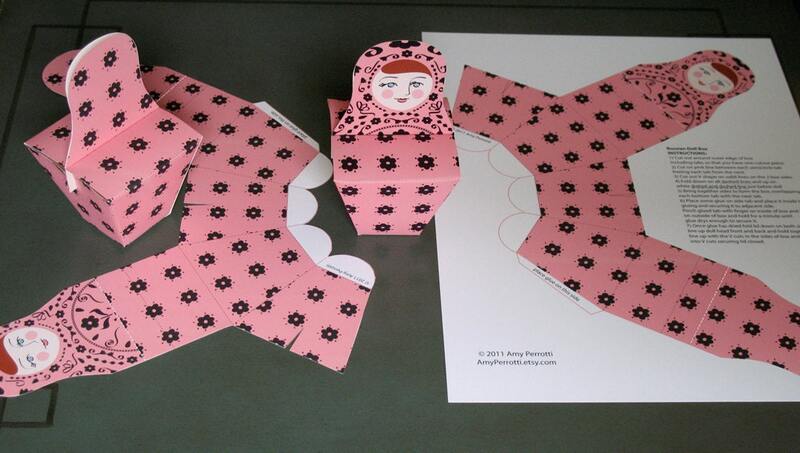 Simple to construct; print, cut one continuous piece, fold, and glue one tab and you have a charming doll favor box. 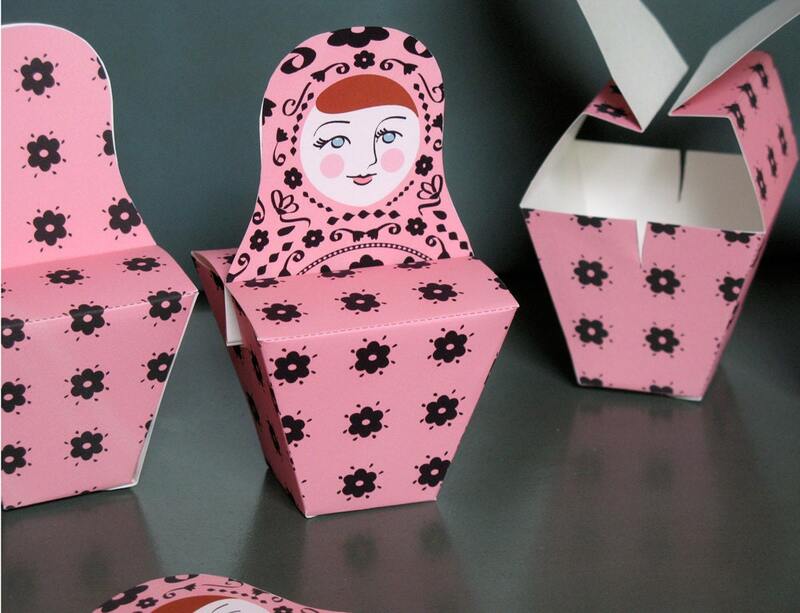 Because you can print out as many as you like, you can place one at each table setting for your guests, or create a stunning arrangement by displaying a family of doll boxes as a beautiful centerpiece. Perfect for birthdays, bridal showers, wedding favors, baby showers or any special occasion. Just purchase for immediate download, open, print out and construct (more details below). The PDF file includes assembly instructions. Adorable, fun and convenient! Printed these on 11 x 17 size cover stock paper, and they were the perfect size to hold some chocolates as party favors for my daughters baby shower. Love them! 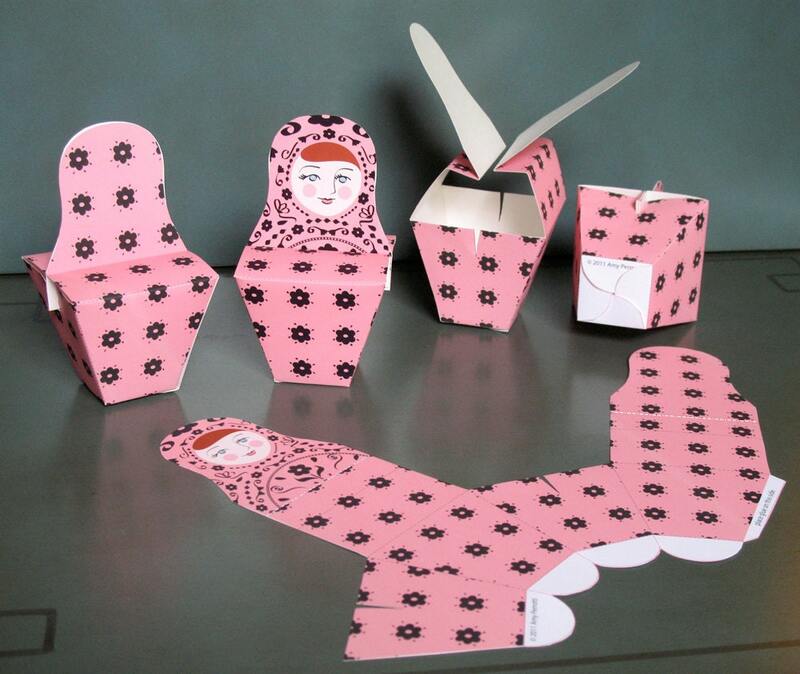 We had a collection of matryroshka nesting dolls that we used to decorate the tables, so it was a great combination. so adorable. so clever. easy to do. Exactly as expected but you will need a color printer to truly take advantage of this. Quickest delivery ever. nGreat product - thank you! Lovely design and was easy to use. Thank you!